Quality maintenance is where Superior Ground Services roots originated, when it’s time to protect your investment turn to our expert staff. We provide professional, unparalleled maintenance for every type of property, from residential, home owners associations, class A office complexes, commercial / industrial, municipal and institutional properties. For superior service, we believe in tailoring packages to meet the individual needs of each customer. 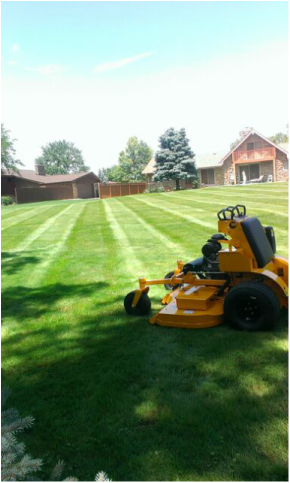 All packages begin with weekly lawn maintenance including mowing, trimming and blowing of all hard surfaces. From there, we can customize packages to best meet the needs of your property. Packages can include a spring clean up to get your property ready for the season and fall clean up to clean up and close your property for the season. Core aeration is another add on that keeps your grass healthy and vibrant for the season. Along with maintaining your property to its full potential, we can also include up to six fertilizer treatments per season. Superior offers trimming of all bushes and hedges as another option for packages. We work alongside customers to customize each package.